It’s that time of year, people… Pumpkin everything, sweaters, cozy blankets, and lots of hot beverages. And I bring you yet another Fall recipe! Pumpkin Honey Cream Pie. That’s right, Pumpkin Honey Cream Pie is required baking in our home at this time of year. This is such a lovely pie to make with any pumpkin or squash out of your garden. I grew up eating pies made with Blue Hubbard squash. I always thought they were pumpkin pies, I didn’t even know the difference! However, as I started helping my Granny make pies, I realized we were making them with squash. They taste really good, so make ye some pie! This recipe makes one large deep dish pie. 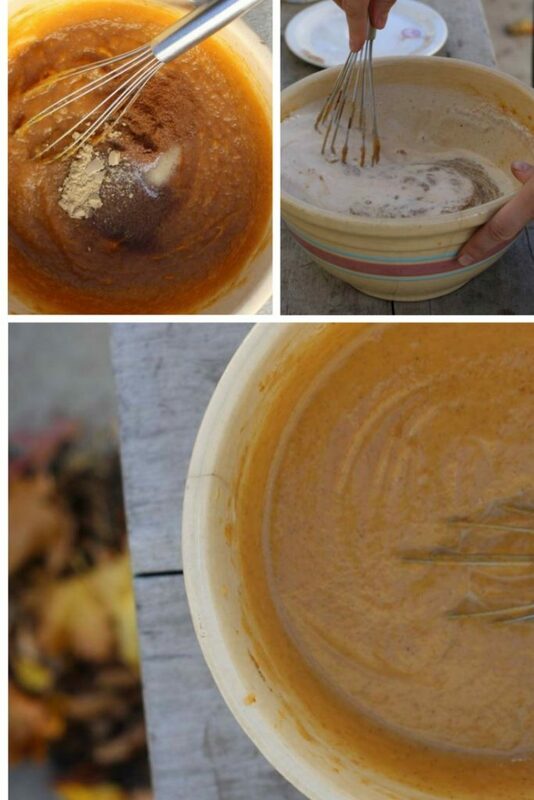 In a large bowl whisk the pumpkin, eggs, and honey. Add the spices and cream, whisking thoroughly until it’s smooth. Roll out the pie crust and fit it to the pan. 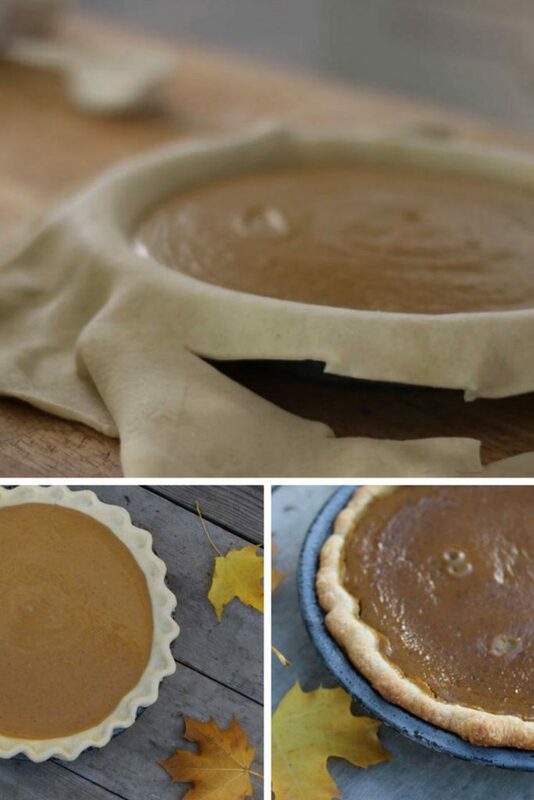 Fill the crust with pumpkin filling and let it settle in. Cut all that extra dough away from the sides, but leave enough to crimp the edges all pretty and rustic-like. Your pie is ready for the oven! Bake for 60 minutes, or until it’s set in the center. 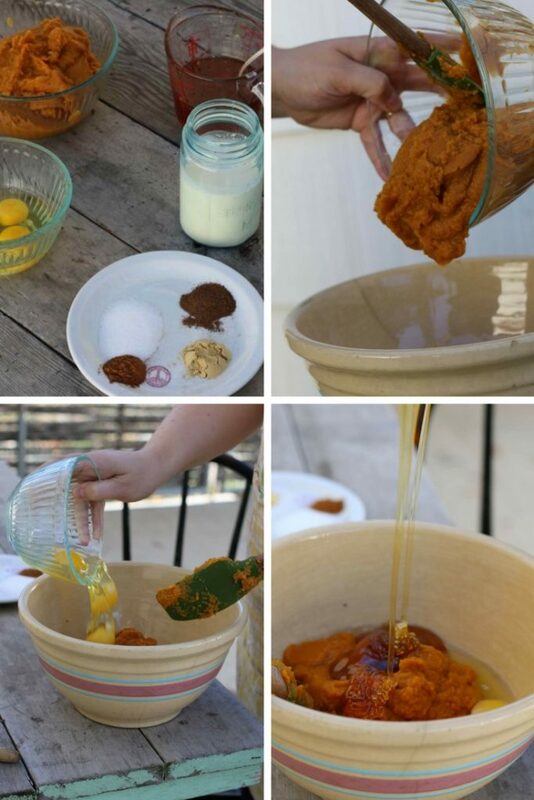 In a large bowl whisk together pumpkin, eggs, and honey. Add the spices and cream, whisking thoroughly until it’s smooth. Roll out the pie crust and fit it to the pan. 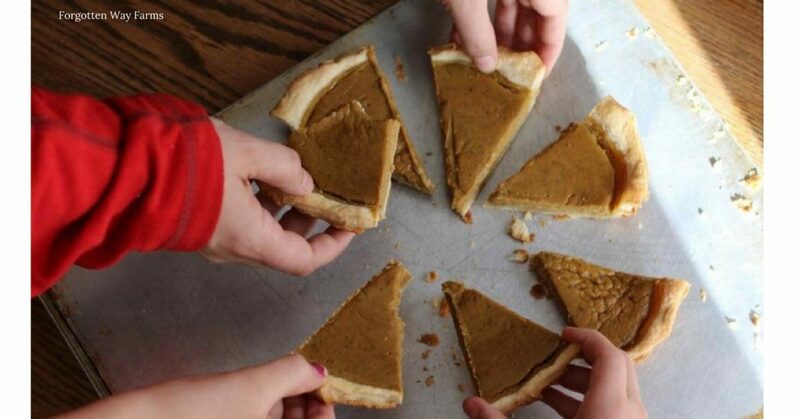 Now fill the crust with pumpkin filling and let it settle in. Cut all that extra dough away from the sides, but leave enough to crimp the edges all pretty and rustic-like. Bake for 40 minutes, or until it’s set in the center. 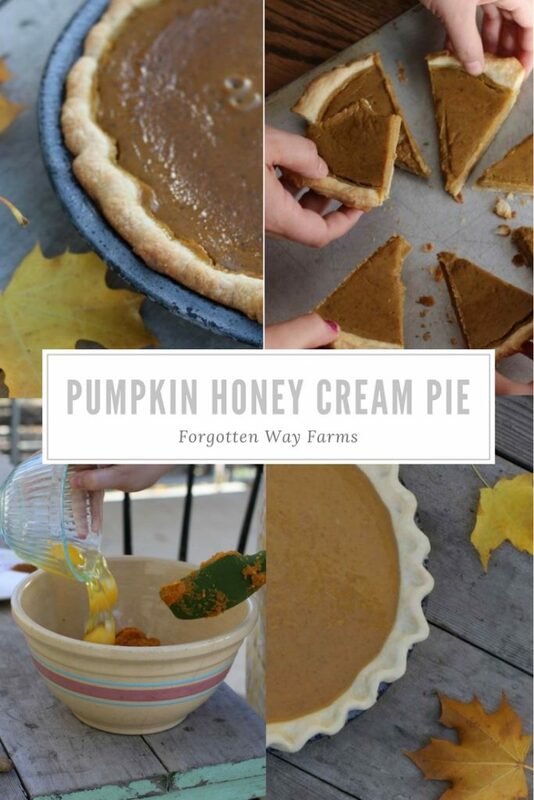 I hope you enjoy this recipe for Homemade Pumpkin Honey Cream Pie! 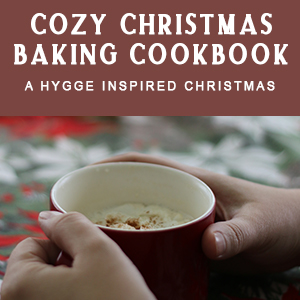 Are you in the mood for another pie recipe? Here’s our popular Cocoa Cream Pie! 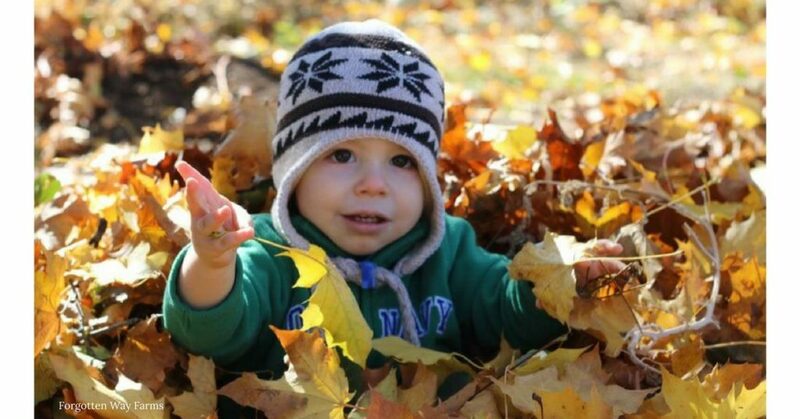 And now I leave you with a picture of Baby Boy enjoying these fleeting Fall days. Going to try this honey pumpkin pie recipe!